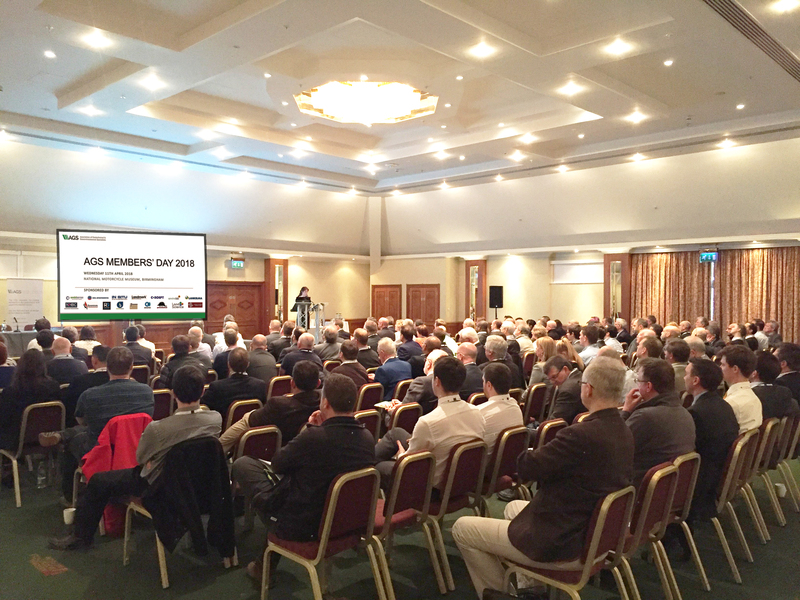 This year’s Members’ Day was held in the new venue of the National Motorcycle Museum, where the successful AGS Geotechnical Data Conference had been held in September 2017. We asked our members for their feedback and from the answers we have been given so far it seems that most people found the venue to be a good one. We will consider all of the comments before deciding on next year’s venue, which may again be outside London. The presentations were well received and included a variety of geotechnical, geoenvironmental and legal topics. Paul Nathanial of LQM provided an entertaining view on how to work with the new standard on sustainable remediation. This was described as the “elimination and/or control of unacceptable risks in a safe and timely manner whilst optimising the environmental, social and economic value of the work”. Geocentrix’s Andrew Bond gave an update on the second generation of Eurocodes and how geotechnical design will be integrated into them in the runup to the publication in 2020. Scott O’Neill-Gwilliams of Aecom provided some interesting and stimulating examples of the remediation of mineworkings and Guy lane of BLM gave a thought provoking insight into the legal issues associated with the use of AGS data. An interesting case study was provided by Chaido (Yuli) Doulala-Rigby (Tensar International) which highlighted the potential issues that may arise from ground data when it is used in construction. This case study was used to stimulate a lively panel discussion chaired by Claire Smith of Ground Engineering Magazine. This in turn generated some interesting debate from the audience which could have continued well beyond the time that was allocated. All of the Working Group Leaders succinctly delivered their updates on what they have been doing over the year and what they plan in the future, making the most of the short amount of time available to them. One of several highlights was the publication of the substantial collection of papers in the AGS Loss Prevention Guidance document, which is free to AGS Members. This can be downloaded by clicking HERE. Awards to those that have provided exceptional service to the AGS and the working groups were presented, and Chris Hoskins, a long-standing member of the Loss Prevention Working Group was made an Honorary Member. 98% of our members rated the day as excellent or good. Delegates were happy with the networking opportunities provided and would recommend attending the event to others. There was praise for the quality of the presentations and the catering was also marked highly, so it seems that just about everyone had a good time. The success of the day was primarily down to the hard work of Caroline and the other people in Forum Court Associates who are the AGS’ secretariat. I’m sure they do an equally good job for the upcoming AGS Ground Risk: why take the chance? conference on the 12th September.